This Saturday Jun 30 Don Tito will host a rooftop World Cup watch party with sound for Argentina vs France starting at 10am. 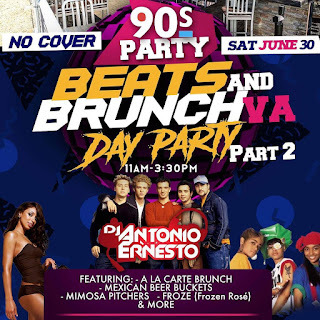 Right after the game ends the Beats and Brunch VA party brings you the 90’s day party at Don Tito will go from 11am-3pm. 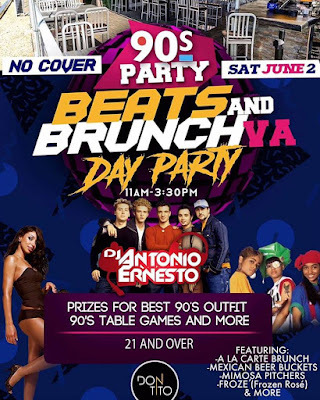 DJ Antonio Ernesto with DJ Mike Rodriguez will be playing all the 90’s hits from *NSYNC to the Backstreet Boys and the likes of Destiny's Child to TLC and Will Smith. This no cover event is rain or shine thanks to the retractable all weather rooftop at Don Titos. A day after the Capitals won the NHL championship game in Las Vegas, Don Tito hosted a private party with T.J. Oshie, Tom Wilson and Philipp Grubauer. 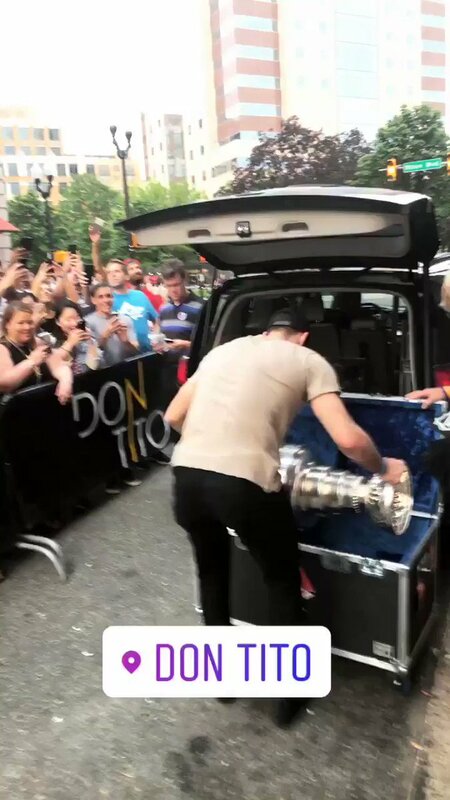 In an awesome scene captured by Don Tito co-owner Scott Parker's Snapchat, Tom Wilson carries in the Stanley Cup into one of Clarendon's most popular bars around 7:30pm. Party goers continued to surround the bar next to CVS to catch glimpses of the Cup and champagne being sprayed over the side of Don Titos all weather rooftop. There was a brief pause in the street celebrations as a freak rainstorm flooded Clarendon a couple hours after the Cup arrived, but luckily Don Tito upgraded their rooftop two years ago to be covered and allow all weather parties. After the rain subsided dozens of people where back out by CVS chanting C-A-P-S and hoping to see a Capitals player hoist the Cup over the side of the rooftop again. A wonderful, wild and glorious night for Clarendon. 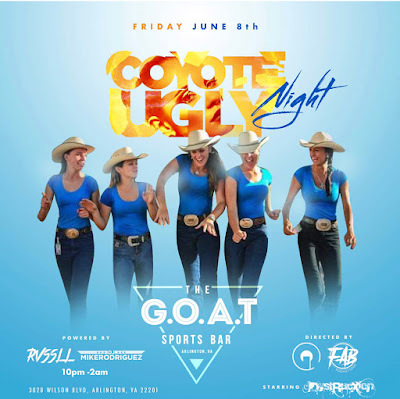 This Friday June 8 The G.O.A.T in Clarendon is throwing a Coyote Ugly Night with the beautiful ladies from the Dystrucxion Dance Team as cowgirls! From 10pm to close the G.O.A.T. 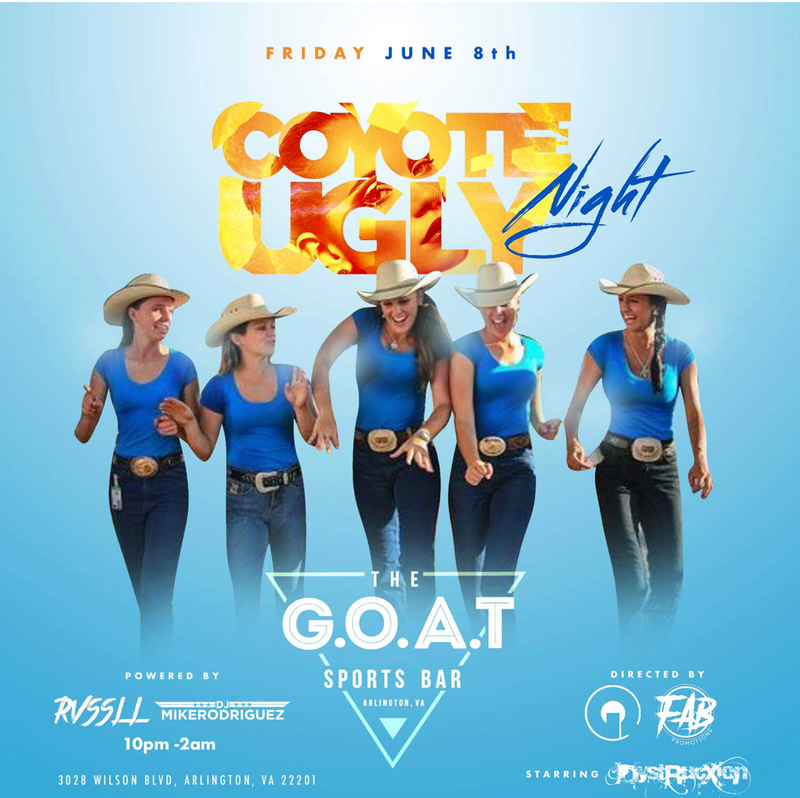 together with GQ Agency & Fab Promotions is once again re-inventing nightlife in Clarendon. The G.O.A.T. is one of the newest sports bar in the neighborhood boasting many HD TV's, custom pro-audio sound system, 2 DJ booths, video games on each floor, delicious food & drinks, and a great staff to make every visit a memorable one. Make sure to RSVP for free to get ahead of the line to enter. Must be 21 and over to enter. Dress code is business, nautical, fashionable, trendy attire. No construction style boots of any kind, white T-shirts or tank tops are also not permitted. This Saturday June 2 Don Tito is throwing a 90s themed day party from 11am to 3pm. DJ Antonio Ernesto will be playing the best hits from 20 years ago along with table games, a la carte brunch, beer buckets and mimosa pitchers. Prizes for best 90s outfit!